Shop ESP 2.5 Inch Leather Guitar Strap from AMS and enjoy Fast & Free Shipping. 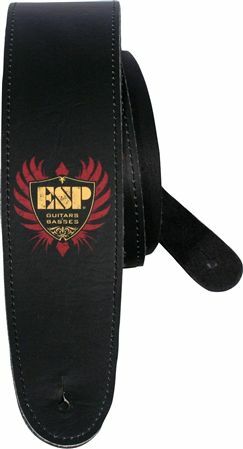 The ESP 2.5 Inch Leather Guitar Strap is a high quality, durable strap made for the gigging guitarist! With a maximum length of 60 inches, the ESP premium leather strap is a great fit for virtually any player. If you want a comfortable strap that will last for a long time look no further than this great strap from ESP! Great strap and longer than most leather straps What I needed as tall/big guy.